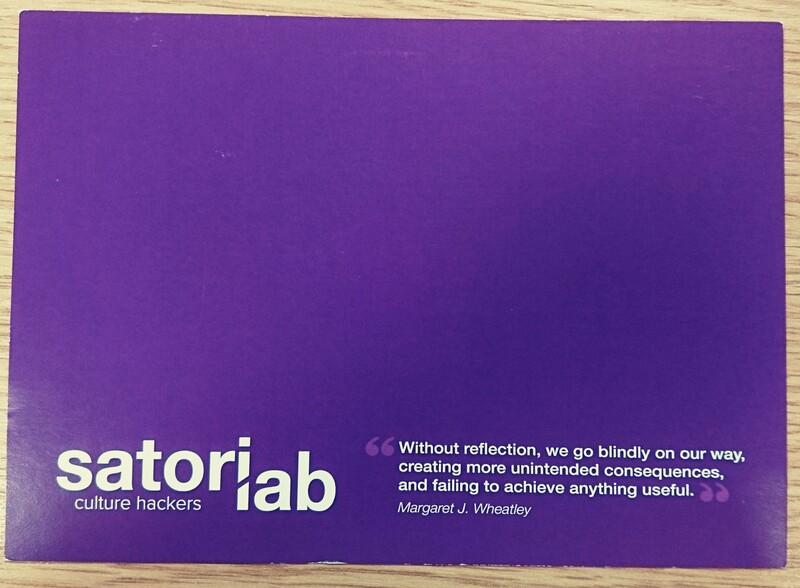 The Satori Lab work to help people in the public sector and other public value organisations to change their culture. 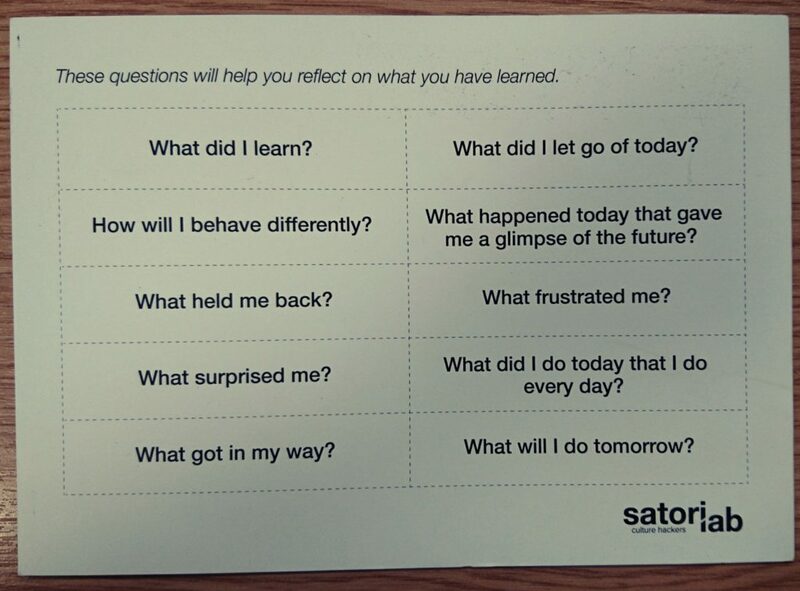 They have produced these excellent reflection questions that they occasionally hand out on a postcard (particularly in their workshops) and if you contact them and ask nicely they might send you one in the post. how will I behave differently? what got in my way? what did I let go of today? what happened today that gave me a glimpse of the future? what did I do today that I do every day?